Six weeks into the University’s 45th annual fall campaign for the United Way of Central New York, 547 employees have pledged $146,312, slightly surpassing the halfway point of the $250,000 goal. Sala, vice president and chief campus facilities officer, and Dr. Ruth Chen, professor of practice in the College of Engineering and Computer Science, co-chair the employee campaign, with the theme of “Game Changer.” They lead a cross-campus committee of employees who hold special events on campus, publicize the campaign in departments and divisions, and communicate the benefits of participation. Eighty-five cents of every dollar donated to the United Way goes to funded programs, reflecting one of the highest levels of fiscal responsibility as reported by Charity Navigator. Employees can give anytime through the end of December through MySlice. 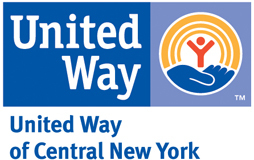 Dr. Chen is a member of the board of directors of the United Way of Central New York, along with Lerner Center Program Director Rebecca Bostwick. For more information about the University’s United Way campaign, visit uw.syr.edu.